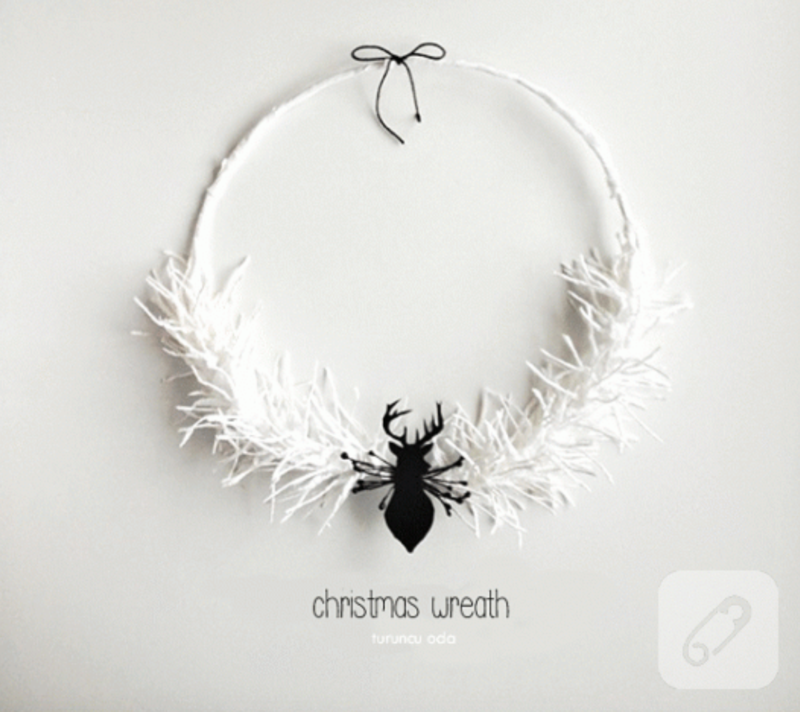 DIY Christmas Wreath Ideas with craftlove.co! 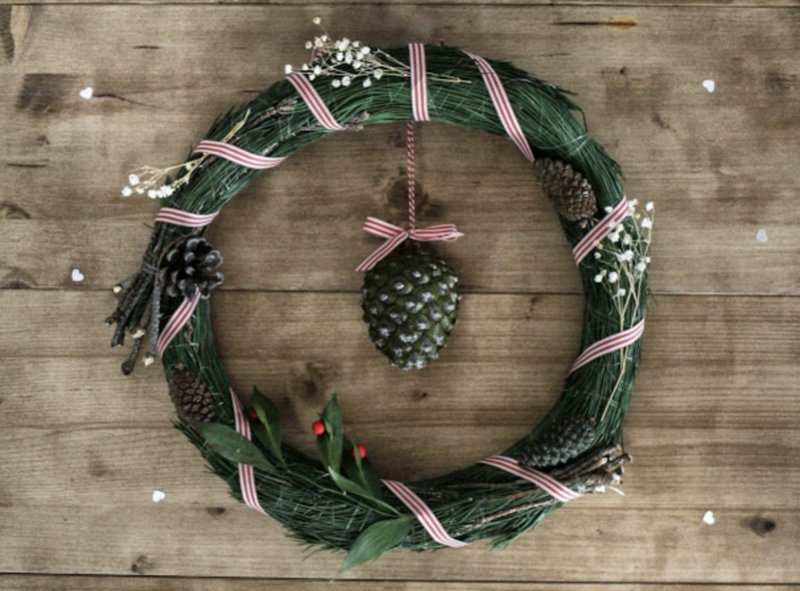 DIY Christmas wreaths… You can make them, too. These lovely wreaths are made by crafters, as well. The first one came almost directly from the woods. You can see the perfect harmony between the pine cones, several types of winter leaves and flowers. Of course, the touch of the pretty ribbon adds some taste, too. 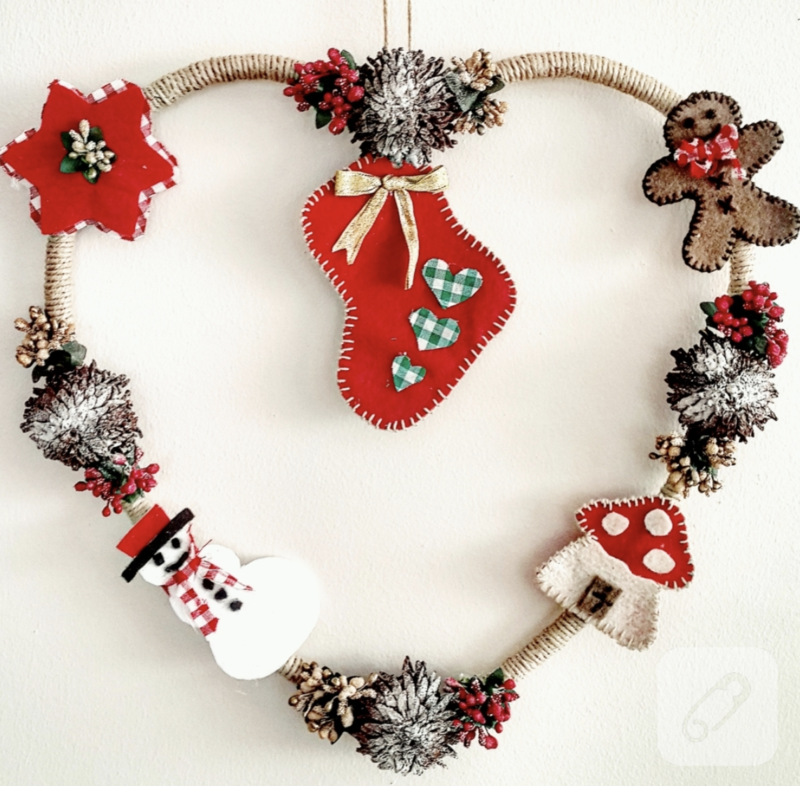 This heart shaped wreath is made of a thick wire, natural rope, felt, Christmas flowers and some fake snow. We love the tiny mushroom house and the red felt stocking. You need a glue gun for this. And much other craftwork as well. We love this one, too. 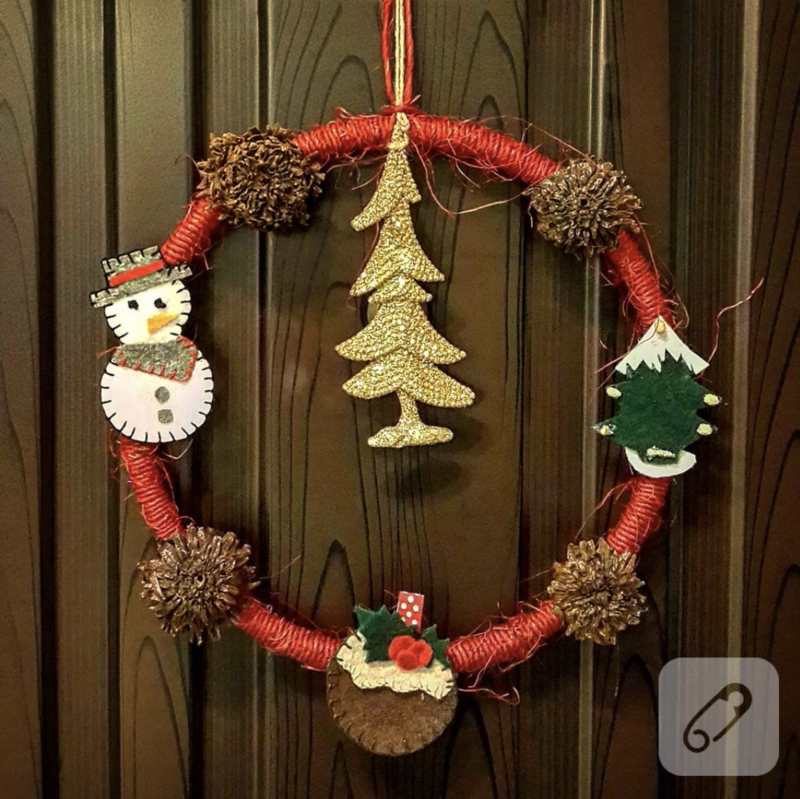 You need a thick wire to shape a perfect circle, red natural rope to whip around, again some felt, pine cones and glittery eva paper to make a small Christmas tree. HO HO HO! Santa Claus above apparently lost some weight. You can make a potbellied one! You need lots of felt for this. Use a ready-to-use wreath foam. Wrap white felt around it. Use felt to make some craft fibre filling jingle bells figures and holly leaves. 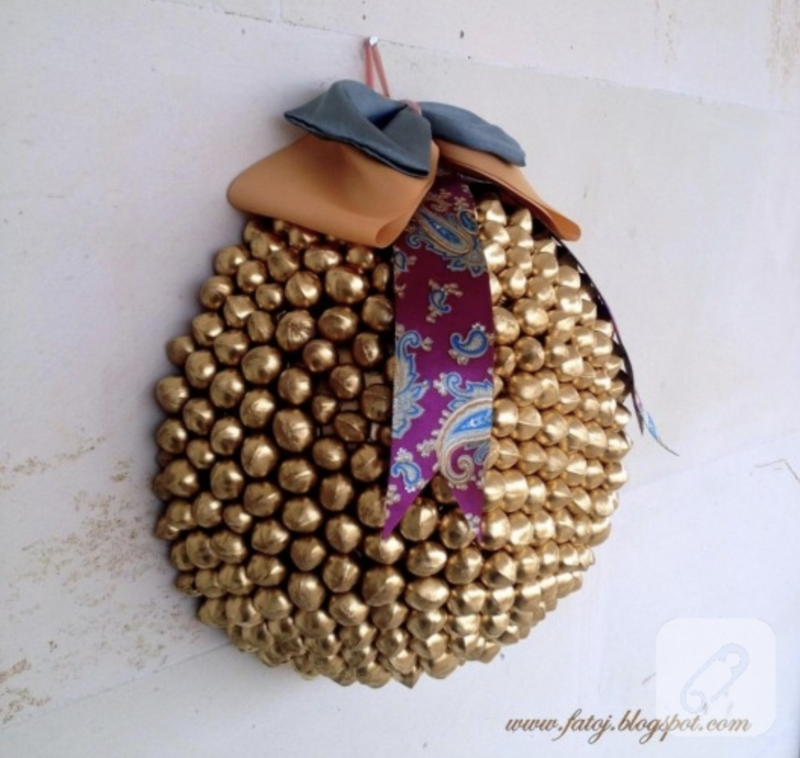 Attach them to the circle with your glue gun. 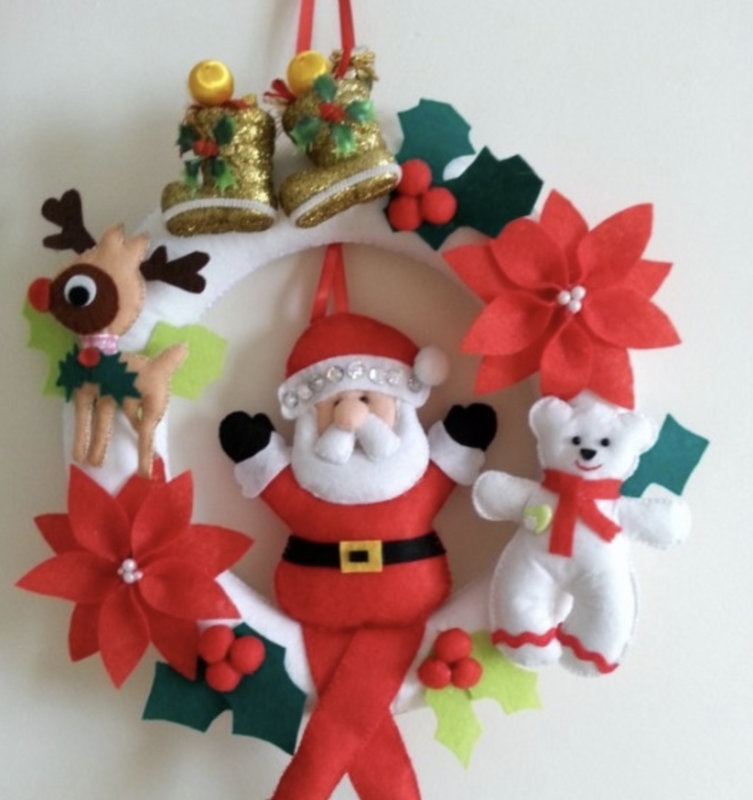 Here is a unique version of Christmas wreaths. Time to paint some walnuts! Paste them to a plastic bowl. Decorate it with ribbons. Tada! Here is a very original Christmas wreath of your own. Very classy, right? Use a wire and shape it in the form of circle. Cut a deer silhouette out of eva or thick felt. Decorate it with some feathers or shiny Christmas garnishes.